How lucky you are to have had such an incredible mentor. Says alot about you Brant. you and many others will keep alive the true meaning of a great Rabbi who teaches Human rights no matter where they are from. My condolences. Maybe not another Beerman, but we do still have the “likes of him” among us. I grant you, not many, but then the Holy One has never depended on many. Sending heartfelt condolences to you as you grieve this tremendous loss. 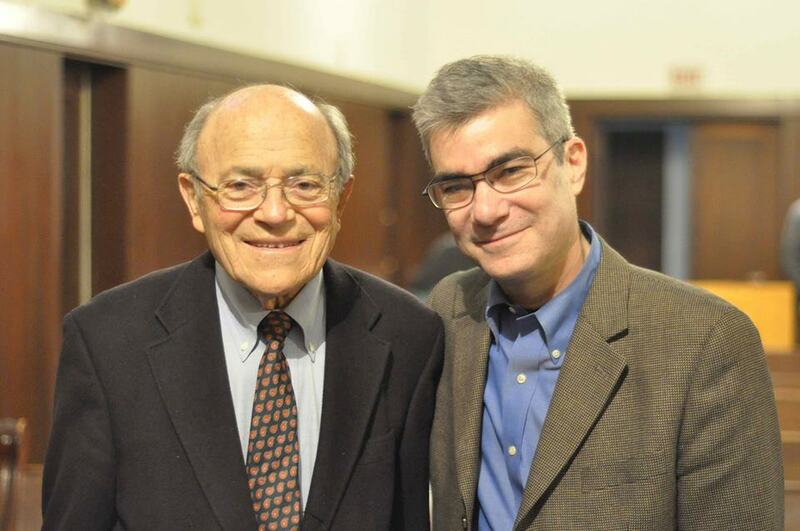 It’s clear Rabbi Beerman meant a great deal to you and that he had a profound impact on many. Leaders like that continue to inspire and guide well beyond their years on this earth. Though that doesn’t lessen the pain of the loss for those that knew him personally. My heart goes out to you. This post fits in beautifully with my theme of war, war-making, peace, and a viable future for humankind and the planet. Be sure to follow the link to the LA Times profile of Rabbi Beerman. Thank you so much Brant for writing this post and including the link to the LA Times profile of Rabbi Beerman. I am lifted. Blessings to you for the coming year. Thank you for sharing this, Rabbi. As a Muslim, I am continuously enlightened by you about the diversity of thought regarding Israeli-Palestinian relations. For reasons of health, I was unable to attend your conversation with Rabbi Beerman. Was it recorded, and, if so, is it available for download? David, scroll to the bottom of the post and you can see video of our conversation in its entirety. How glad I am to connect with you…first to support your position on justice and human rights and dignity for all in Palestine and Israel, and secondly, to applaud your courageous, difficult, heart-rending decision to leave your congregation after 17 years together. God bless you! I also admire your openness to becoming a “Quaker Rabbi!” How beautiful and exemplary is that?!! In linking to your blog I also discover a connection with Rabbi Beerman. Back in the 70’s I attended college with his daughter Eva and once visited their home on a college break! I would love to reconnect with her, especially to offer my condolences, if you could pass along my info. May the God of the New Year fill you with *new joys* and new learnings during your season of transition. Blessings.